Sharing a card today that I had not posted before. I'm curious, do you send Halloween cards to friends or family? Loveeeeeee this! LOVING the colors and the pumpkin!!!!! Oh yes, I do... especially since my bff's birthday is on Halloween! Darling card, Tracey... love the chevron paper! I love it! Spooky and happy all at the same time. I love this sentiment and how you colored in the alphas to match that gorgeous chevron patterned paper! Love your little Jack O' Lantern, too! 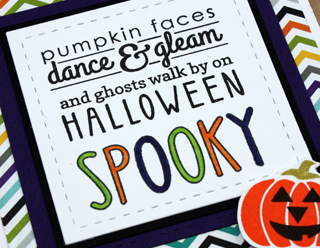 I send Halloween cards to my granddaughters, but that's about it. Such a shame with all the fabulous stamps we have to choose from...oh well! This is great - so fun and colorful. I love to make Halloween cards but sometimes I forget to mail them out! It's a happy kind of spooky Tracey!! I send one to my parents, our son & DIL and my sister-in-law who is also a stamper!! That's about it, but they are fun to make! Love the chevrons and those great colors! Fun sentiment too. I make Halloween cards for the grandkids. Every year I see so many sets I like and have to control myself as I know I will only be needing seven cards! 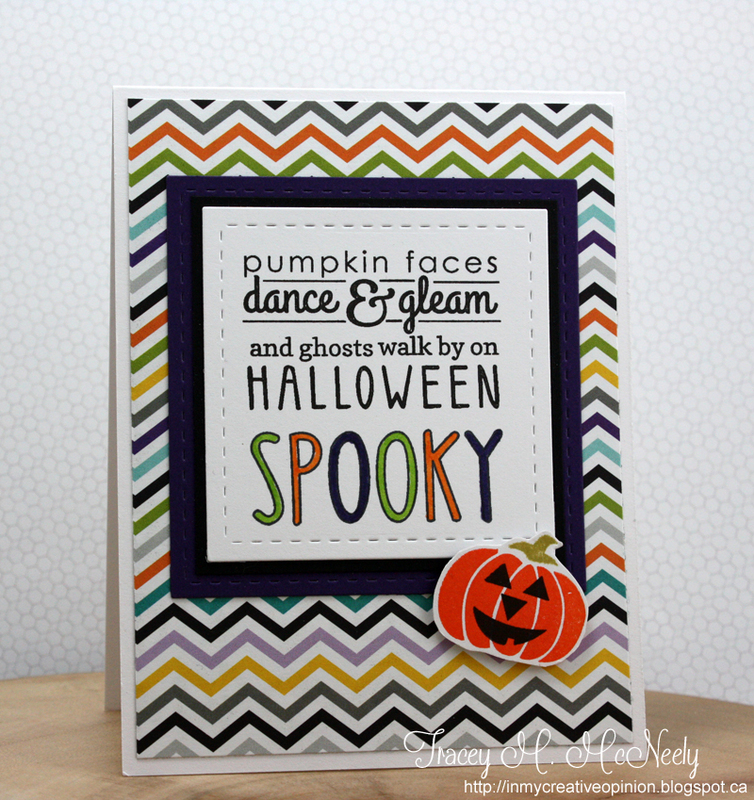 Fab Halloween card with great sentiment and cute little pumpkin! SO fun Tracey! The chevrons and colored in letters are so cool together!